This crazy collection of 3,000 jokes, hot on the heels of the incredibly popular "Laugh, Cackle and Howl Joke Book", brings you and your friends a second helping of funny moments. 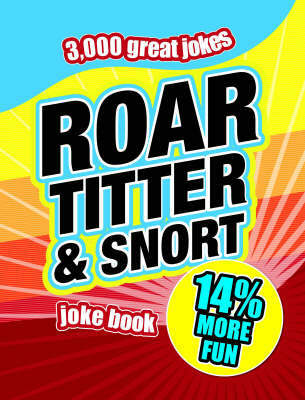 There are puns that'll have you laughing out loud and there are superb long jokes and comic quotes in there too. If, as they say, laughter is the best medicine, the hysterically funny jokes in this book will ensure that you'll never take a day off sick again - unless, of course, you've laughed so much your sides have split or you've ended up in stitches!